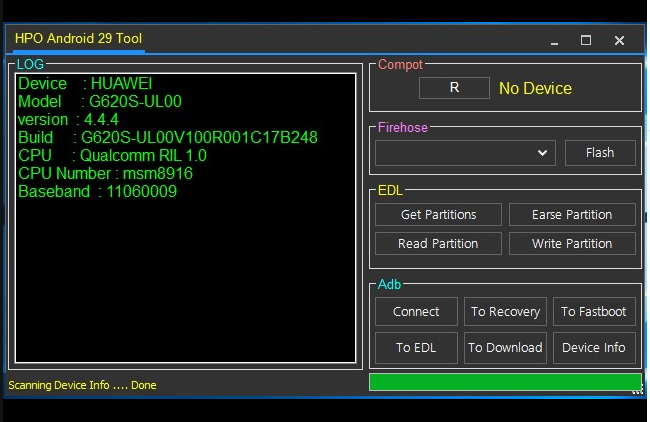 HPO Android 29 Tool is a application for windows computer, which allows you to create the Huawei Board Firmware, Flash the Firehose Get Partition info in EDL Mode, Read Partition Info, Erase the Partition , Write the Partition, and much more , HPO Android 29 Tool Its latest version is released and available for directly download from our website. 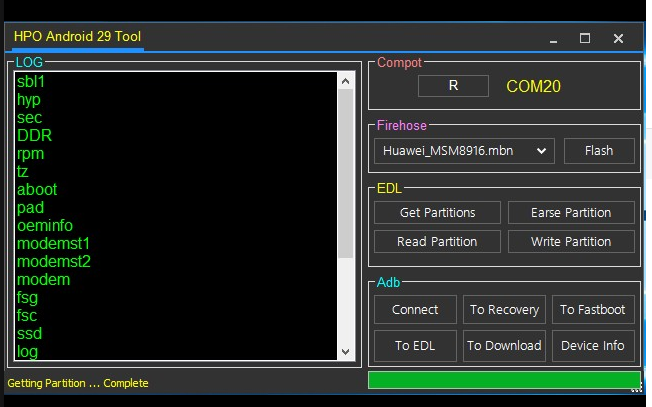 If you are interested into download the latest HPO Android 29 Tool than simply follow the link given at the bottom. It is free to download and very easy to use. So download and enjoy the new HPO Android 29 Tool on your PC. Disclaimer : Please read the terms and conditions carefully before using HPO Android 29 Tool Use of this software indicates you accept the terms of this license agreement and warranty. HPO Android 29 Tool (this software) is provided "as-is" and without warranty of any kind, express, implied or otherwise, including without limitation, any warranty of merchantability or fitness for a particular purpose. In no event shall the author of this software be held liable for data loss, damages, loss of profits or any other kind of loss while using or misusing this software. Note: Although this process is tested on most of the Smartphone but Do the process with your own risk, we are not responsible for any damage happen to the phone, and your success report is welcome, just share your success on using this process through comments. License: HPO Android 29 Tool is freeware Utility Tool . You may try it free for always. Copyright ©: HPO Android 29 Tool All rights reserved.